Spanish Beef Rice is a very popular recipe. 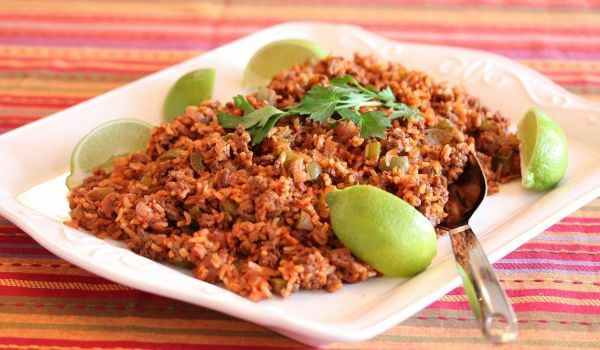 Learn how to make Spanish Beef Rice by following this simple & easy recipe. Fry the meat and onion in rendered fat in a large skillet until brown. Drain off the excess fat. Add the remaining ingredients and get to a boil. Cook covered on low heat, stirring occasionally, until rice in tender.